To find a phone number in Ireland, first decide whether the number is in Eire (the Irish Republic) or Northern Ireland, as the phone books and dialling codes are different. The Ireland (Eire) telephone country code is 353, but Northern Ireland is regarded as part of the UK, so its phone country code is 44 with an area code of 28. In both Irelands, you don’t need the telephone area code if you’re dialling within the area, e.g. Dublin, itself. 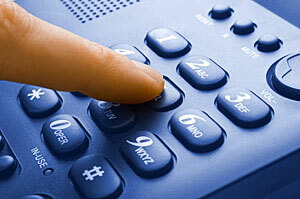 When calling an Irish phone number from outside the country, you must omit the “0” from the beginning of the area code. From the Irish Republic you can dial 048 for Northern Ireland landline access (may also be dialed as an international call to the UK using 004428 ). You have to dial the complete number for mobile (cell) phones in Ireland, but miss off the preceding “0” if you’re calling from abroad. http://www.eircomphonebook.ie/ White pages listings for the Irish Republic: use the select buttons to choose business search or residential (search for people). Under “I’m looking for” fill in the name of the person you are looking for and “in” which city. Then hit the Find button. http://www.118.ie/: 11850 Irish business search and people search white pages. It’s free online, but costs money if you do it by phone! http://www.goldenpages.ie/: “Yellow Pages” style classified business directory. Choose from the list of business categories or type in your search under “I’m looking for”. This page does not deliver what it is supposed to do.All I wanted was to find a cell phone number in Dublin and it does not give the opportunity to search. Sorry you didn’t find what you wanted, but the page gives you three references of where to find telephone numbers online, and explains how Irish numbers are constructed. It’s constructed mainly to help people travelling to Ireland from outside the country. Mobile numbers are always more difficult, we’ll try to see if we can find a reference for them. Sorry you had difficulty, Gary. Sometimes it just seems finding a name you know exists in these directories is a pain. One thing that causes issues these days is the fact that many people have silent numbers now, thanks to all the telemarketing calls, I know that’s the case in the UK. BTW, as far as I know there is currently no cellular white pages in Eire. actually i want to find my friend in Ireland …. Just try the numbers we supply above, look for “people”! Hmm, I’m getting a 404 from the Eircom link too, though I notice it’s still No.1 in Google! I’ll check that later to see if it’s just temporary. The http://www.118.ie/people.aspx link still works, and I notice there’s another commercial version at http://www.11890.ie/search/people-listings-search.aspx which you could try. Note that although free online, if you call them they’ll charge you (extortionately!) to connect you.